Lending and marketing automation platform CuneXus has signed its 100th customer, reports David Penn at Finovate. The partnership news shows the California-based company continuing the momentum in 2019 after a year that featured major new partnerships, new product features and platform integrations, and a handful of industry awards. CuneXus’ latest client adds to the 27 new partners the company signed last year. These partners now represent more than $175 billion in combined assets and more than ten million US consumers. The company also noted that its platform averaged more than $8 million in daily loan requests in 2018, with more than $5 billion in total approved loan requests by year’s end. 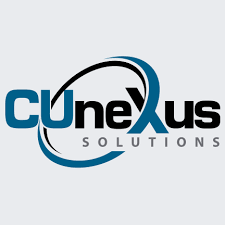 New clients for CuneXus include community FIs like Redwood CU, Suncoast CU, Community Choice CU, Commonwealth CU of Kentucky, and Nassau Educators FCU. The firm noted that one partner in particular leveraged CuneXus’ technology to lower average processing time for personal loans by 60% and its auto loan time by 80%. Another partner reported an increase of nearly 36% in overall response rates to its loan officers, with more than 10% of the credit union’s members activating offers via CuneXus’ technology. Last fall/autumn, the company partnered with Kasasa, making its Kasasa Loans product available via CuneXus’ cplXpress platform.